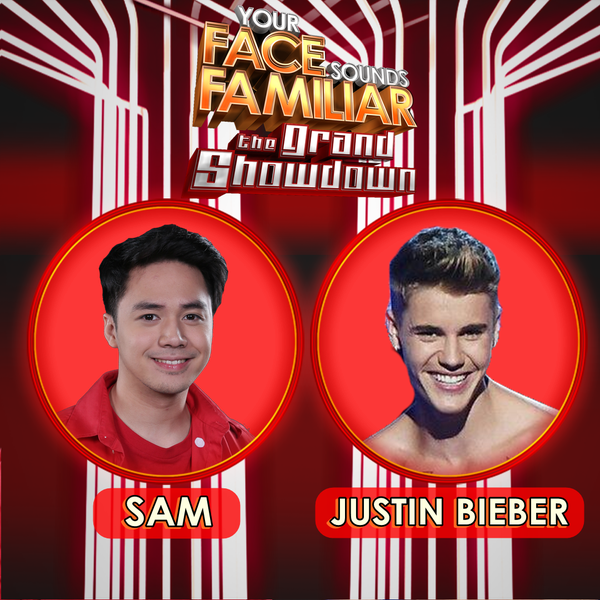 MANILA, Philippines - Actor and singer Sam Concepcion wowed the judges and viewers as he impersonated the popular Canadian singer and songwriter Justin Bieber during the grand showdown on "Your Face Sounds Familiar" Season 2 on Saturday, December 12, 2015 at the Newport Performing Arts Theater, Resorts World Manila in Pasay City. "I think you did excellently ... for me you are already a champion," Gary V. told Sam. "This is one absolute performance from an absolute performer," Jed said to Sam. "You will have my respect for life," Sharon told him. Sam will battle for public votes to win the title of 'Your Face.' Other artists in the Final 5 include Denise Laurel, Kean Cipriano, KZ, and Michael Pangilinan. The grand winner will win P2 million, half of which will go to his or her chosen charity. 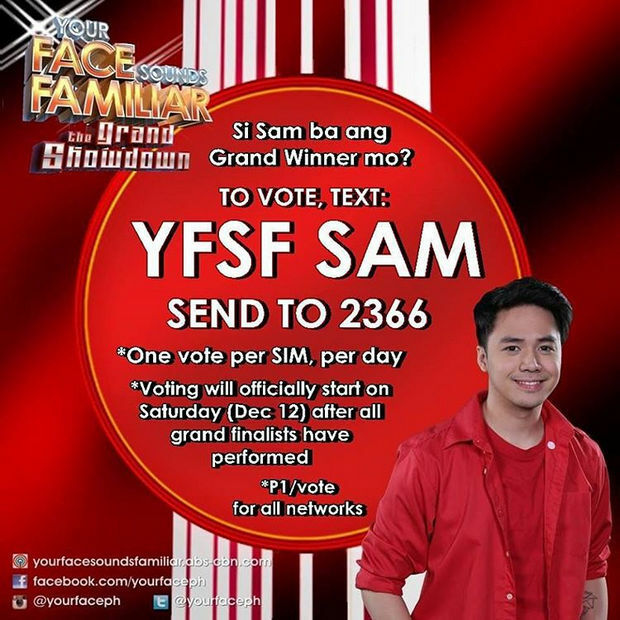 To vote Sam, just text YFSF SAM and send to 2366 for all networks. The voting will open after all the Final 5 performers have performed. Are you rooting for Sam Concepcion to win 'Your Face Sounds Familar' Season 2?